Welcome to the first topic post/linky party for SWC! Several of you have already linked up your goals for improving your sewing to the Goal Linky Party last week, and I thank you for it! I love reading about what you want to improve sewing-wise. That linky will be open until the middle of February, but the linkys that are posted every two weeks will only be open until the next one. Remember - the more you link up, the more chances you have to win a fabric prize from myself or my sponsor, 1 Choice 4 Quilting! When I was trying to decide on a good first topic for this series/linky party, I thought about choosing fabrics. In my mind, this translated to colors - in yours, it might be something else. When you link up, you can take it in any direction you want, whether it be about solids, tone on tone fabrics, matching the kind of occasion to the style of fabrics you choose, etc. (see bottom of this post). 1) Play! Try different combinations! There's no harm done when the fabric isn't cut and sewn (and even if it is, that's what seam rippers are for :) ). I've learned that colors look different when paired with other colors. 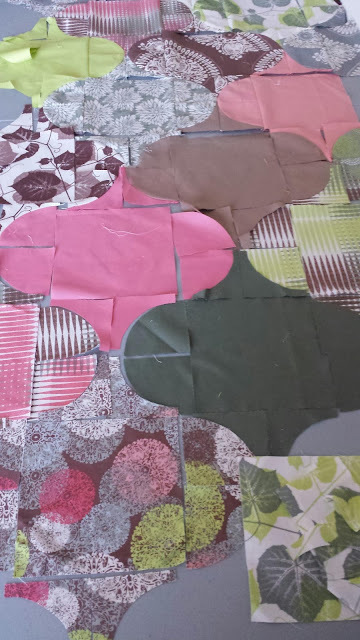 Check out my tutorial on Color Harmony from this past summer, Color Scheme Designer 3 for a whirl at the color wheel, and the Color Theory for Quilters series hosted by my friend Jess. 2) Ask another quilter's (or artistically-inclined friend or family member's) - opinion. That's what's great about online bloggy quiltland - there have been several times that I have asked for your opinions about color choice or design, and you have assisted me so much! If you are in a quilt store, ask for advice. If you are ordering online, feel free to email the shop owner/team - they are usually willing to help you! When I lived at home, my sister was my constant muse/helper/all-around honest helper. Now, it's my husband, and he's even more brutally honest. So, find someone and rely on them! 4) Use fabric lines! Fabric designers usually design in different colorways, which can help you zero in on a color scheme. Often, online shops sell the specific colorways in bundles. Score! And, when you feel really adventurous and confident, you can start to mix colorways and designers. Some of my favorite quilts have come out of designer mixing. 5) Look at Target for inspiration (or any store, really). Rebecca and I constantly muse on Instagram about how helpful the Target designers have been... as we say, #targetlovesquilters. Also, look to NATURE for color inspiration! When in doubt go rainbow = love. Nice post! This year I have gotten a million times more confident choosing fabrics, but remember when I struggled with it. Your tips are good ones! 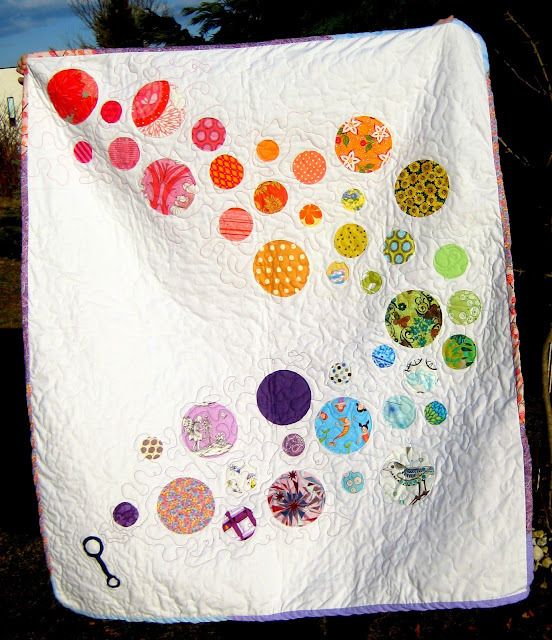 Love your Bubble Trail and Circus Tent quilts (um, did I mention I love rainbow? lol). Also love your Target tip! Looking at inspiration on Pinterest, etc, from designers and companies that are up on the latest trends is a great idea. You really have some beautiful quilts! I am a sucker for saturated colors and your designs seem to really feature them! As far as color goes I think another good place to look is other bloggers and even quilt shops. I don't mean copy exactly what you see (put your own twist on it) but sometimes someone will come up with an idea for a color scheme that you might not think of, but is gorgeous and inspirational. I totally want to make a quilt based on the color scheme designer! Ah! I will totally use it for my curve quilt. I was just sent here by Lorna @ Sew Fresh Quilts, and I love this! Especially "when it doubt, go rainbow" lol. I live by that particular advice. ;) I have a post going up on Monday that I'll link up here. Thanks again for the helpful post! Yeah for rainbows! 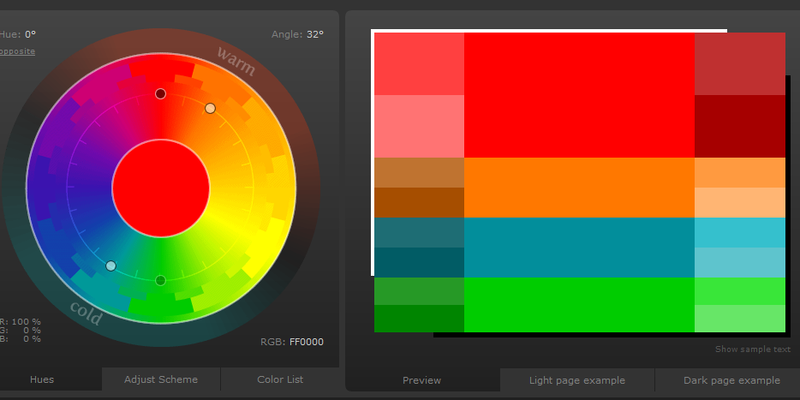 And the colour wheel. They should have had one of those on the back of the Crayola box. Your rainbow quilts are, I think, your trademark style. Thanks for sharing your thoughts on colour and choosing fabrics. Great post. Love your Rainbow Bubble Quilt. You have surpassed being an intermediate quilter - every one of these quilts is superb! I especially love "Sedona." I've been there and you definitely captured the feel of the landscape! !